Get rid of that four-leafed clover and that horseshoe too. I am the only lucky charm you need! 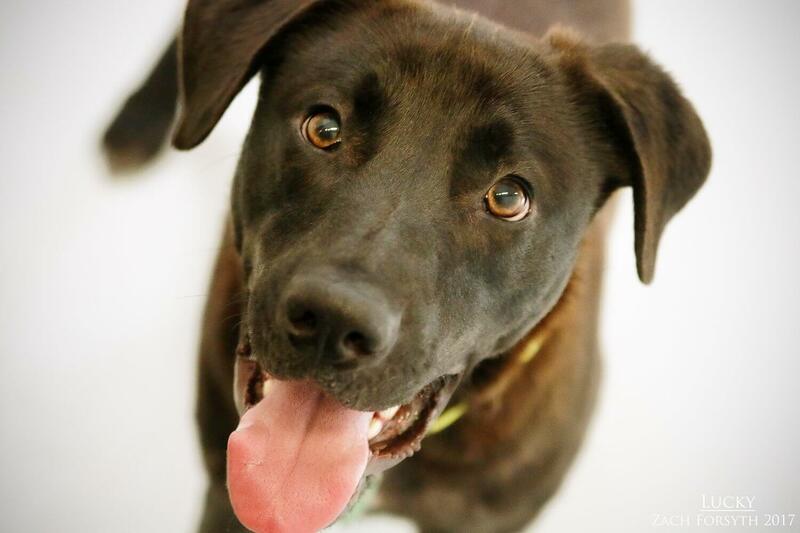 In fact, my name is Lucky and I am a handsome and happy 1.5 year old Black Lab mix. 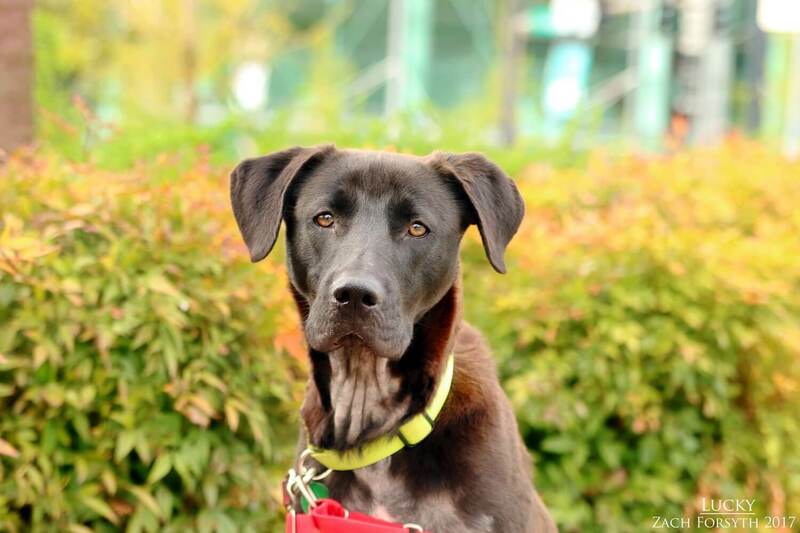 Weighing in at roughly 50lbs, I am full of wiggles and bounces with a puppy-like charm that will instantly make you smile! I enjoy going for walks and would love a big yard to romp around in. I absolutely LOVE other doggies and would enjoy having a confident doggy friend my size in the home with me. No kitties in my home please! I am bit of baby huey and have a good energy about me, as I am ready to be out and active, whether it be a run around the block or ball time in the yard. I enjoy meeting new people, including kids over 8! I am quite the entertainer and my funny antics are sure to make you laugh. Though I need to learn some of the basics, I am a quick learner and eager to gain more knowledge! You don’t have to go to the end of the rainbow to find your pot of gold. Because you have found me! Fill out an application, so we can meet! I come to you vaccinated, micro-chipped, and neutered with an adoption fee of $300.